What’s Up with Big Cat Derek? We’ve all seen his Youtube videos and Vines, and assumed he was just another stupid “pet” owner. We didn’t even know he represented a non accredited “sanctuary” until now. 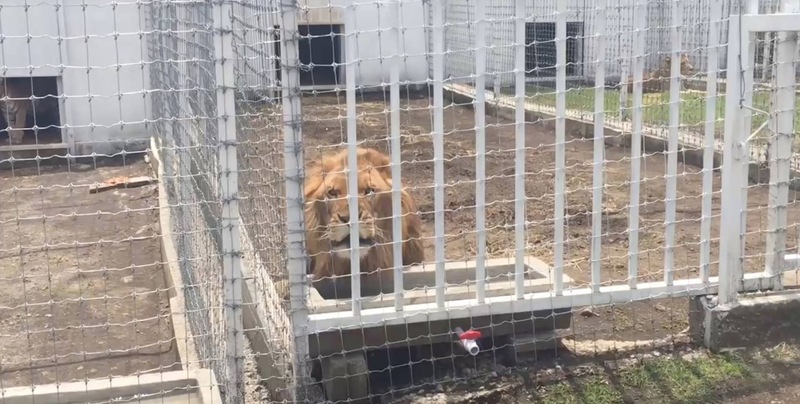 They used to breed and board big cats in the past (some of the facility’s older residents were born there), but now, they seem to be trying their best to be a responsible sanctuary, except for allowing the reckless behavior of Big Cat Derek. USDA doesn’t note any real concerns or citations regarding their animal care. That said, there are definitely some things about CARE that we don’t personally agree with, one of them being the popular social media posts showing volunteers (especially BigCatDerek, who is becoming a social media celebrity a la Eduardo Serio) playing with baby lions and tigers in a home and treating them like pets. Although CARE says it doesn’t breed cats anymore (the cubs were supposedly rescues), and the attention is bringing in funds to the sanctuary, that’s still not the kind of thing that should be promoted. You have to wonder why there seem to be so many cubs when the bad guys don’t get rid of them until they can’t be used as handling props any more. If CARE is just letting cub pimps use them as a dumping ground and not requiring that they stop breeding, then that’s not really helping the cats any. Quite a few of BigCatDerek’s fans also like BJWT because they think that hands-on contact with cute cubs is what a “good sanctuary” does. To that end, there are still a few older pictures on CARE’s site of volunteers and friends petting and posing with big cats before they changed their ways. We also question the safety of CARE’s enclosures, not for the cats, but for the people around them. As you can see in this photo of a tour group, there’s no perimeter fence around most walls on the enclosures, so impulsive guests can, and have, stuck fingers/hands through the fencing in an attempt to touch the cats. And why not, when guests can take photos of their guide doing it? APHIS has scolded CARE for this, and there are plenty of pictures on CARE’s website of interns and other “friends” touching tigers and lions through the fence. We’ve been told there are 40 cats on 20 acres and the cages look pretty small and barren in most cases. CARE is not accredited by the Global Federation of Animal Sanctuaries and does not help with legislation to end the abuse of big cats, as far as we can tell. 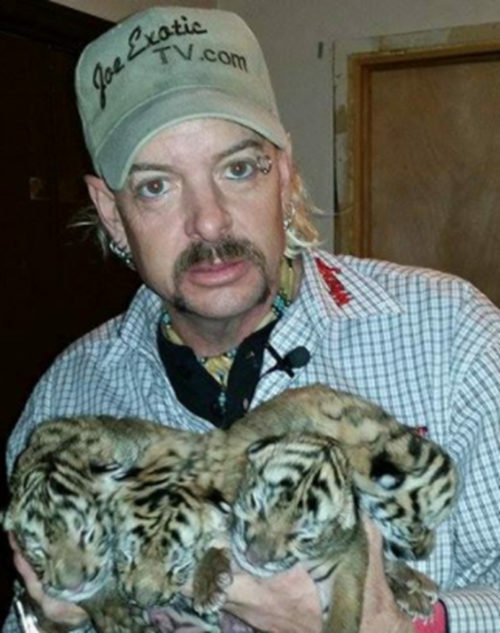 It’s a shame because Derek is pretty entertaining and could be a real spokesman for ending big cat abuse, if he weren’t posing with the cats which makes other people want to pay to play with the cubs too. Our opinion is that you are either trying to stop the abuse by speaking out against cub handling or you are promoting cub pimping schemes when you post images of yourself playing with wild cats who should never be bred to be held captive.